Hot rolling is a metalworking process that occurs above the recrystallization temperature of the material. After the grains deform during processing, they recrystallize, which maintains an equiaxed microstructure and prevents the metal from work hardening. The starting material is usually large pieces of metal, like semi-finished casting products, such as slabs, blooms, and billets. If these products came from a continuous casting operation the products are usually fed directly into the rolling mills at the proper temperature. In smaller operations the material starts at room temperature and must be heated. This is done in a gas- or oil-fired soaking pit for larger workpieces and for smaller workpieces induction heatingis used. As the material is worked the temperature must be monitored to make sure it remains above the recrystallization temperature. To maintain a safety factor a finishing temperature is defined above the recrystallization temperature; this is usually 50 to 100 °C (90 to 180 °F) above the recrystallization temperature. If the temperature does drop below this temperature the material must be re-heated before more hot rolling. Hot rolled metals generally have little directionality in their mechanical properties and deformation induced residual stresses. However, in certain instancesnon-metallic inclusions will impart some directionality and workpieces less than 20 mm (0.79 in) thick often have some directional properties. Also, non-uniformed cooling will induce a lot of residual stresses, which usually occurs in shapes that have a non-uniform cross-section, such as I-beams. While the finished product is of good quality, the surface is covered in mill scale, which is an oxide that forms at high-temperatures. It is usually removed viapickling or the smooth clean surface process, which reveals a smooth surface. Dimensional tolerances are usually 2 to 5% of the overall dimension. 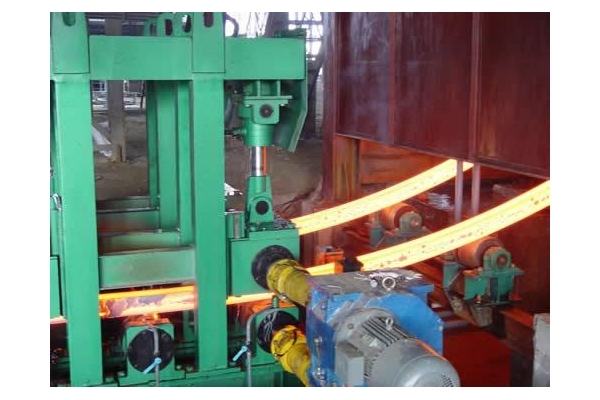 Hot rolling is used mainly to produce sheet metal or simple cross sections, such as rail tracks. Other typical uses for hot rolled metal includes truck frames, automotive wheels, pipe and tubular, water heaters, agriculture equipment, strappings, stampings, compressor shells, truck frames, railcar components, wheel rims, metal buildings, railroad-hopper cars, doors, shelving, discs, guard rails, pipe and tubular, automotive clutch plates.